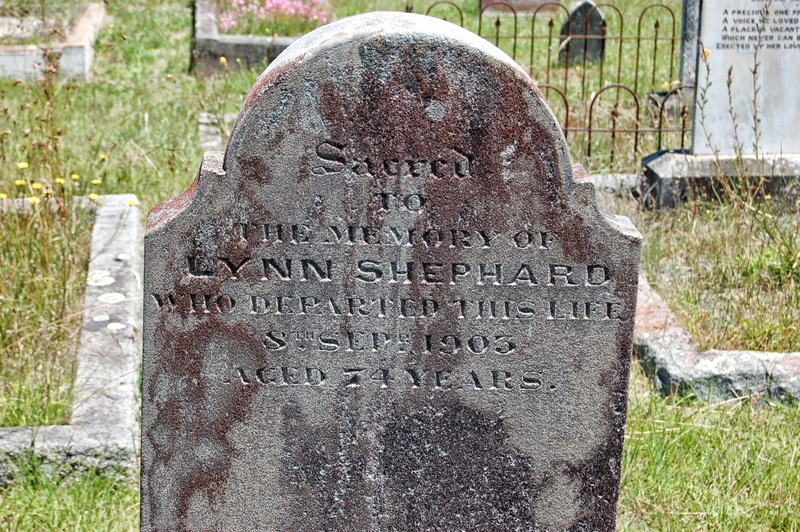 Lynn (II) was the first of the Shepherd family to be born in Australia. There is little record of his life before he married Harriett Webb but it could well be imagined that he had been substantially affected by his parents hard and traumatic life and would only have been 16 years old at the time of his father’s death. Lynn (II) married Harriet Webb at the Church of England in Braidwood on 10 July 1855. Harriett was only 15 years old at the time and had the consent of her father, Charles Webb, to the marriage, possibly because she was pregnant with their first child. Lynn was 26 years old when the marriage took place. Harriett was the daughter of Charles Webb and Mary Ann Wood. 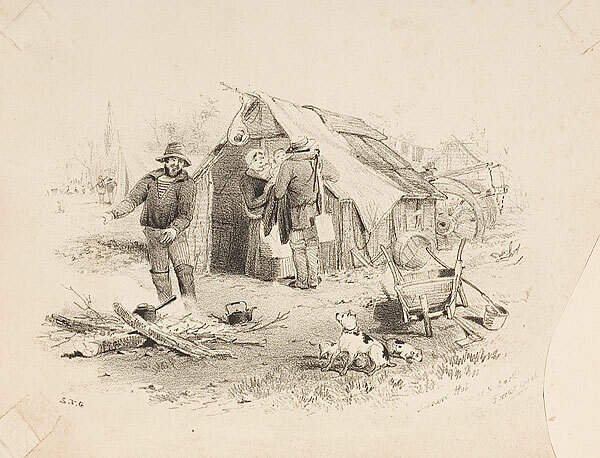 Charles Webb had arrived in Australia as a convict and was one of the many convicts who made a good life for himself in this country, establishing a business as a carrier and successfully farming a property in Braidwood. Harriett’s mother Mary Ann Wood came to Australia with her family. Her father was William Woods, a veteran like Lynn’s father, who had also taken up a grant of land close to the Shepherd’s at Bong Bong. He occupied No 5 and called the property “Rifle Farm”. 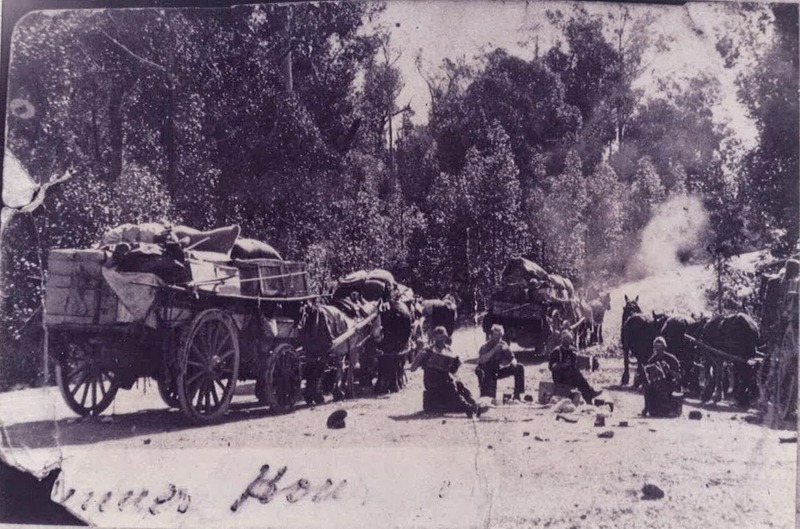 Although there was some development in the Araluen area, because of timber getting and farming, the living conditions on the gold fields were very harsh. Most diggers worked from dawn to dusk, six days a week. It was a rich locality for gold with newspapers reporting of Araleun that: “The miners here are doing as well as ever none making less than 10s. a day, and the major part upwards of 20s. On Monday last, a party of five procured ten ounces, and another party, consisting of a similar number twelve ounces ; others are doing equally well.” Lynn appears to have been able to make a living from his diggings and was able to purchase a property as the gold started to diminish. Lynn and Harriett’s first child, Charles Alfred was born on 16 December, 1855, at Little River, Mongarlowe. Although they were close to Braidwood where Harriet’s family lived, contact would have been difficult due to the steep and sometimes impassable roads. Even less likely for her mother to visit her as Harriet’s mother had a new born the same year as Harriet as well as having five other children under the age of twelve. It could not have been easy for Harriet, women made up only a small part of the population of the goldfields. sharing all the discomforts of life on the diggings and working as hard as the men, washing, cooking, chopping wood, tending chooks or a cow, growing vegetables and helping with the search for gold as well. Lynn and Harriet’s next child, George Henry was born in March 1857. A year later another son, Alexander, was born. A daughter, Selina, was born in 1861. Unfortunatley, in that same year, George at only four years of age died. The goldfields were not a safe or healthy place to have children. Most of them spent their childhood helping their parents search for gold. They carried wood, looked after the tent or hut, cared for the horses and fossicked among the ‘tailings’ or left-over gravel and sand. Older children were expected to work as hard as adults. Around the late 1850’s Lynn started to look to the future and bought two blocks of land in the Country of St Vincent, Parish of Nudawang. It comprised about fifty acres and the purchase price was twenty eight pounds, sixteen shillings and eight pence. In 1862 another son was born who they named Lynn. Twelve children were born in total, Rosetta Ann in 1864, Albert in 1866, Mary Ann in 1868, Rachel in 1870, Christina in 1873, Ralph in 1876 and their last child Grace in 1879. As the number of women on the goldfields increased, life became more settled. 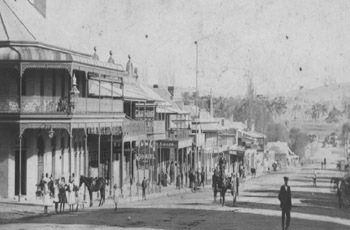 In 1866 the NSW Gazetter and Road Guide, describes Araleun as a postal mining township with a population of about 3,500: “one long street, there being about seven miles of residences, more or less scattered, in which there are 28 hotels and public houses.” The towns in the area took on an appearance of more permanency. Churches and other public buildings started appearing and activities such as horse racing, picnics, dances, sports and athletic contests became a feature of local life. Harriett’s father died in 1862. Her father had been operating a carting services with his sons and his son in law also became involved in the carrying business, using bullock or horse teams to transport wool, gold, timber, mining equipment and stores between the various settlements, gold fields and even as far as Sydney. Along with uncles and cousins, Lynn’s sons went on to become carriers as well. This was a tough way to make a living, camping by the side of the road and travelling on substandard and often steep roads that were no more than dirt tracks. Many teams came to grief over the side of the mountain and the drivers had to deal with the constant threat of bushrangers . Establishing and working a farm was also a hard life, alternating between terrible floods, with Lynn being reported as losing his entire wheat crop in 1860, and many years of drought between 1875 and the 1890s. Lynn also looked at other means of making a living and for at least three years, from 1877 until 1880 Lynn held the licences for a hotel called the Australian Arms in Wallace Street, Braidwood. Lynn died on 8 September 1903 at Braidwood and is buried in the church of England portion of the Braidwood cemetery. He was 74 years old. According to, “The Shepherd Book” compiled by compiled by Helen Jamieson, Harriet was known in the Braidwood district for her skills as a midwife and was affectionately known as “Granny Shepherd”in her latter years. Harriet had over 70 grandchildren, mainly living in the Braidwood area, and this would have also been a reason for her title. Harriet died on 11 July 1917 at the age of 77 years, and is buried in the Church of England portion of the Braidwood cemetry. There is no headstone for Harriet.